Dan Linfoot and Jason O’Halloran will once again spearhead Honda Racing’s attack on the MCE British Superbike title in 2017. 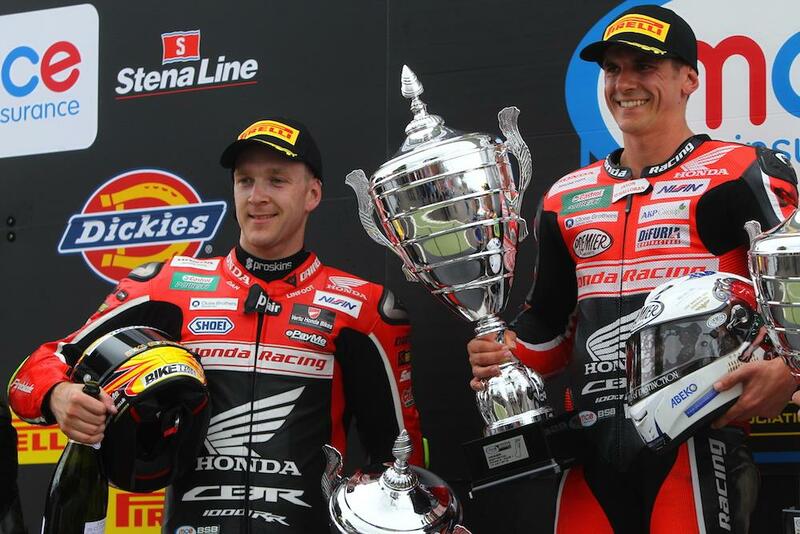 The duo impressed this year aboard the aging, eight-year-old Honda Fireblade to both secure spots in the title fighters’ Showdown, taking 13 podiums between them plus O’Halloran securing his debut win in a Honda 1-2 at Snetterton. The results see the pair rewarded with the chance to campaign Honda’s all-new Fireblade SP2 in next year’s series, which sees significant engine and chassis upgrades in order to bring it in line with its latest rivals. The Louth-based squad will return to just a two-rider line-up for the 2016 with the departure of fan favourite Jenny Tinmouth from the team. “I’m really happy to remain with Honda Racing for my third year,” said Linfoot. “When I first signed in 2015 it was always in the back of my mind that I’d like to remain until the new Fireblade was available and I’m so pleased that this is now possible. Next year will be an exciting time for the team with the new CBR after eight years with the old model, and I’m excited to continue to help with the development. We’ve had two strong years with the last model Fireblade, so I’m looking forward to seeing what we can do on the new one and I’m certain we can be even stronger than we have been. Reflecting on this year, I’m happy with our performance, of course I would have liked to have secured my first race win, but I know that will come, maybe some more podiums, but all in all, it was a great year for us and puts us in a good place going into the New Year. I can’t wait to get testing, try the new Blade and get the season underway!"